some quick pics of the new collection out later this month. 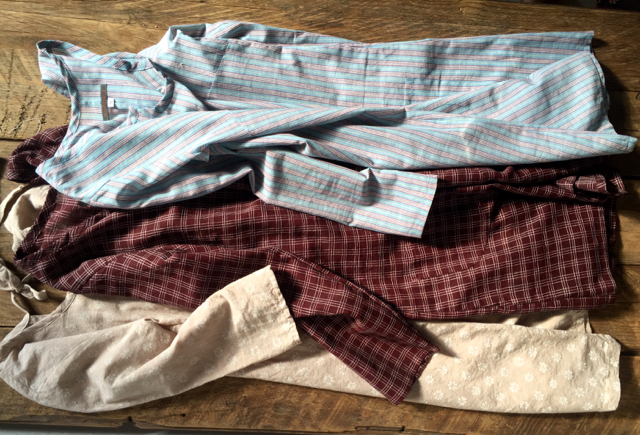 mostly familiar styles now, in soft hand-loomed cottons and silks. top: half moon tunic in sage stripe. shell in silk print with shell buttons. 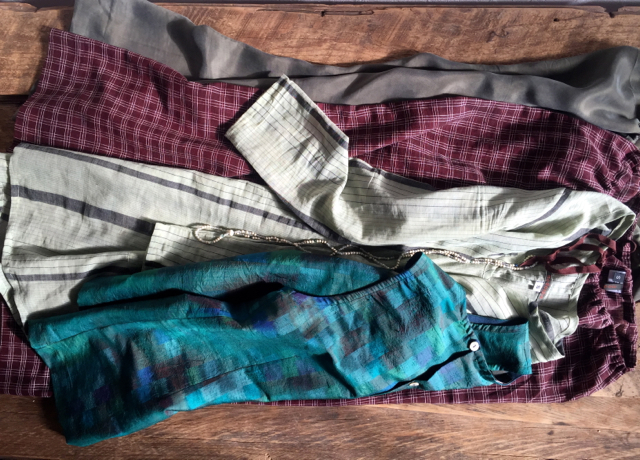 pajama pants in olive & a windowpane print. image 2: cottage dress in ink linen & pixel print cotton/hemp. tunic in dark fuschia cotton print. cottage dress in grey linen. image 3: half moon tunic in a pale striped cotton & windowpane print cotton. cottage dress in washed out floral cotton. image 4: floppy skirt in washed silk, taupe and brick. 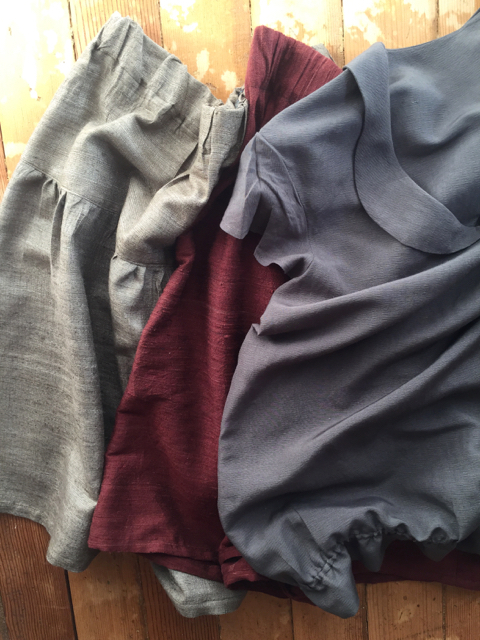 flutter sleeve blouse in grey silk/cotton/hemp (only a few of these items fyi). i was trying the clothes on yesterday in different combinations and discovered a really pretty layered look was there. the half moon tunic is long and paired with the pajama pants and even the silk shell over all that it was quite a look. pattern on pattern on pattern but it worked. 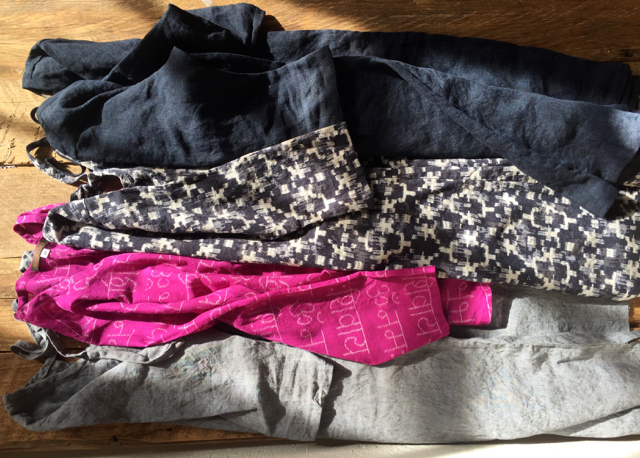 these fabrics are so, so very soft and light. the july collection is fairly limited fyi. it is easier to do collections more often as i have been when they are small. the fall collection with it’s new styles and amazing fabrics will be bigger all around.